Virtual Reality (VR) headsets are a popular technology trend as they allow the user to watch a movie in real life, enjoy live concerts, theater and other forms of entertainment which may be sold out, play games in a lifelike manner or interact with friends who are far away. 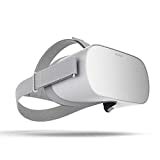 The Oculus Go is a very sophisticated virtual reality headset which is a standalone device, and only the Oculus Companion app has to be downloaded. The device has a wide quad high definition LCD screen and lenses which use the latest technology for better clarity, reduced glare and wider field of view. The speakers are already built into the headset, to offer an integrated audio experience. An easy to use controller is also supplied. For greater comfort the headset is using an innovative specially designed fabric with foam which is injected molded, to fit well, reduce the weight like the material used by professional athletes. There are two versions of the Oculus Go available, the basic version with 32GB memory for storing 3 HD movies,10 games, 20 Apps and the more expensive version with 64 GB memory, sufficient for 7 High definition movies, 20 games, 40 Apps. Many of the popular games and movie apps like Netflix, Hulu, HBO, Discovery, Facebook are available by default. HTC has announced the Vive Focus a standalone VR headset to compete with the Oculus Go. The headset uses a high-resolution AMOLED display and uses a Qualcomm processor, the Snapdragon 835. HTC claims that it offers six degrees of freedom, and the user does not have to set up sensors when using the headset. It also has a networking feature, which allows it to connect to other HTC headsets a feature that is useful for gamers who wish to network with other gamers while playing games or making meetings appear more real. HTC has developed some of the most popular VR gadgets and their features are likely to be incorporated in the Vive Focus. However, though the Vive Focus may have some additional features, it is far more expensive than the Oculus Go, which is reasonably priced . Most of the customers who have purchased the Oculus headset on Amazon are extremely satisfied with the product as it is easy to set up and use. 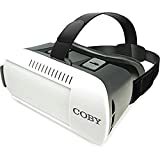 So this VR headset available at Amazon is highly recommended as it offers great quality at a reasonable price. Check out the Oculus Go and the Vive Focus at Amazon.com where you will find them for the best prices, and receive the best customer service, Amazon is one of the most trusted online shopping sites, used by thousands of very satisfied customers.